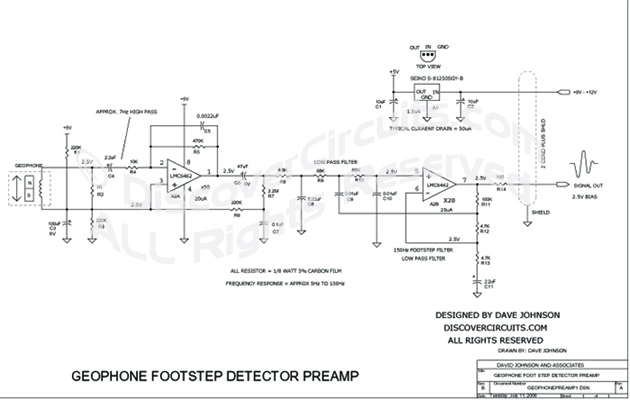 Circuit: Human Traffic Footstep Detecto __ Circuit designed by David A. Johnson, P.E. This circuit uses a surplus geophone to detect human footsteps from 100 feet away. It was designed for monitoring the Mexico/USA border. This preamp part of the system draws about 50 microamps from a 12 volt supply.